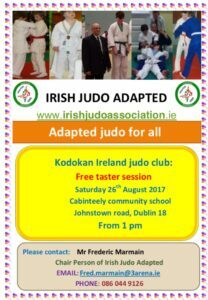 A Taster Session for Adapted Judo will held in Cabinteely, Dublin 18 this August 2017. There will be a free taster session on Saturday 26th August at 1pm in Cabinteely Community School for children & adults. 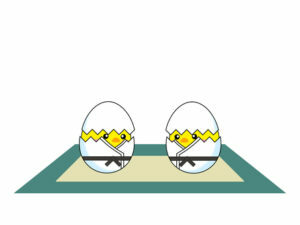 It is being run by Kodokan Judo Club in conjunction with Dún Laoghaire Rathdown County Council’s Sports Office. If any IJA coaches would like to pursue Adaptive Coaching, please contact Fred for further information.